Hello lovely ladies! Thank you for visiting Spotlight Weekly link-up! Today we’re sharing our most colorful looks with you! I stuck with basics, but kept it bright 🙂 Hope you are having a fabulous week! Tomorrow is Friday! Whoo! 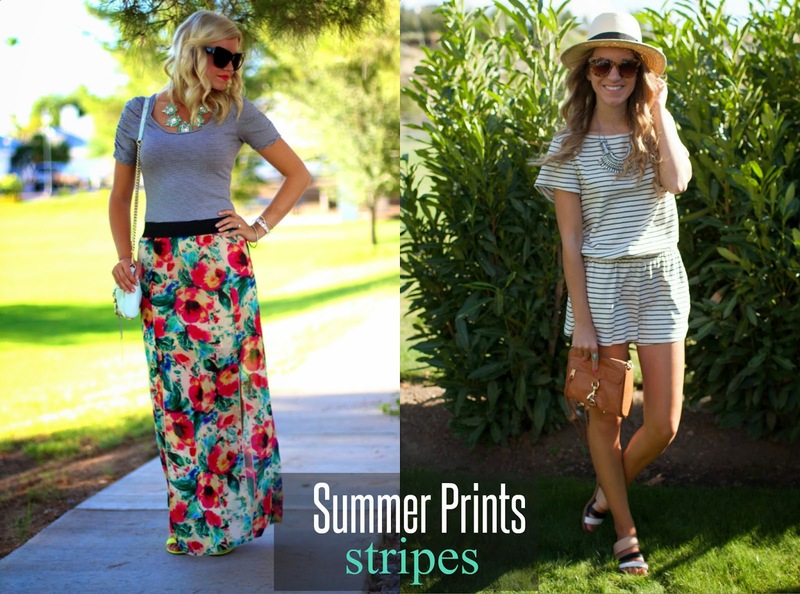 This week’s spotlight is Carylee of More Pieces of Me. 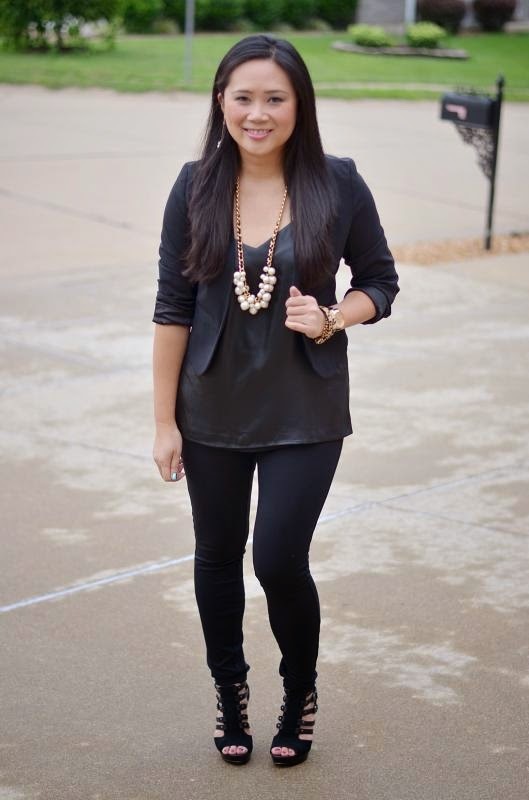 Her all black look from last week is super chic, so make sure to stop by her blog and say hello! NEXT WEEK: Next week we are featuring Fall Transition style, as our spotlight trend! 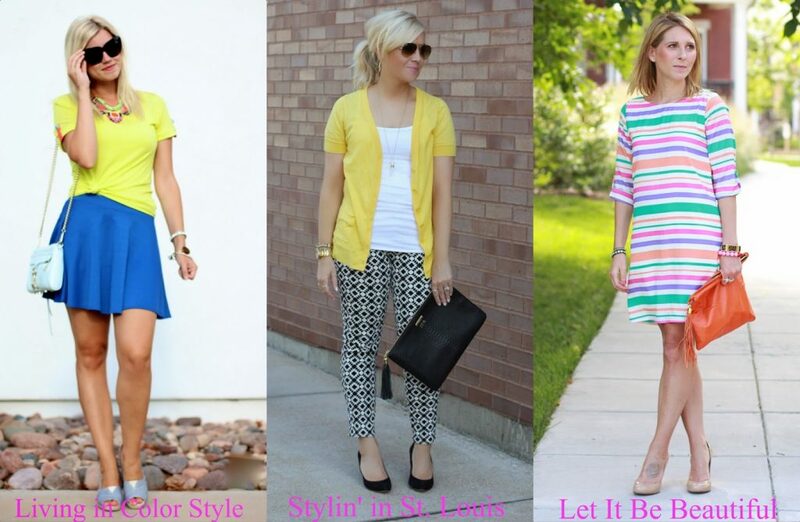 Show us your most bright, cheerful, colorful look! Thank you so much for reading, and for linking up! Such a bright and fun outfit! Love the way you've styled this outfit! Love the bright colors and your necklace is adorable with your outfit. It's a very happy look. Loving the bright colors and that necklace is amazing! So pretty! PS Thank you so so much for the feature!! This top is too cute!! Love the button details on the sleeves, and the color is fab. The bold pairing of your blue skirt with it is such a fun statement look. Love the necklace, too. Thanks for hosting!! you look great!! i love that blue skirt! Love this color combo and the fun knotted shirt. Great look! I love all this color! I am so bad about not stepping out of my comfort zone and wearing more colors! This inspires me to! Love all the colors this week!